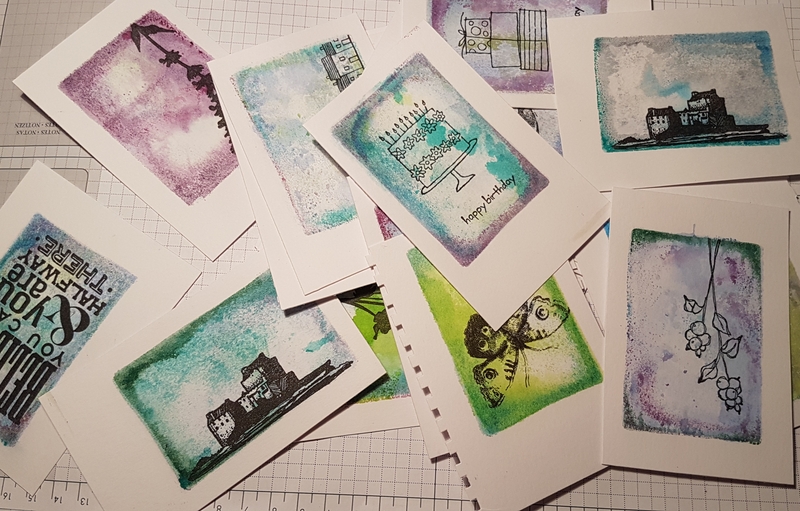 Today I have two of the cards I’ve finished off from the massive gelli plate play session I had! 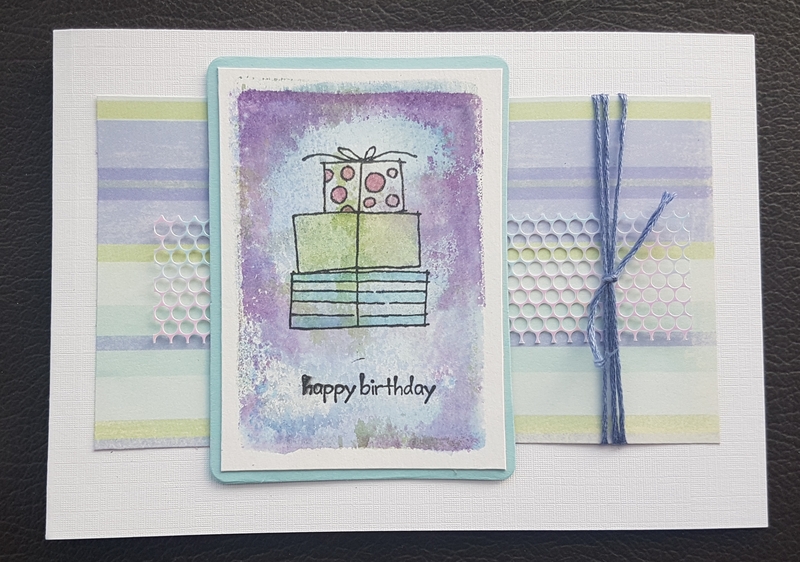 I decided to use the two that were the Happy Moments stamps to do these two birthday cards. For both of them I chose papers that I felt worked with the colours in the inky background. I also chose to add more colour to the actual pictures to give them more of a fun look. 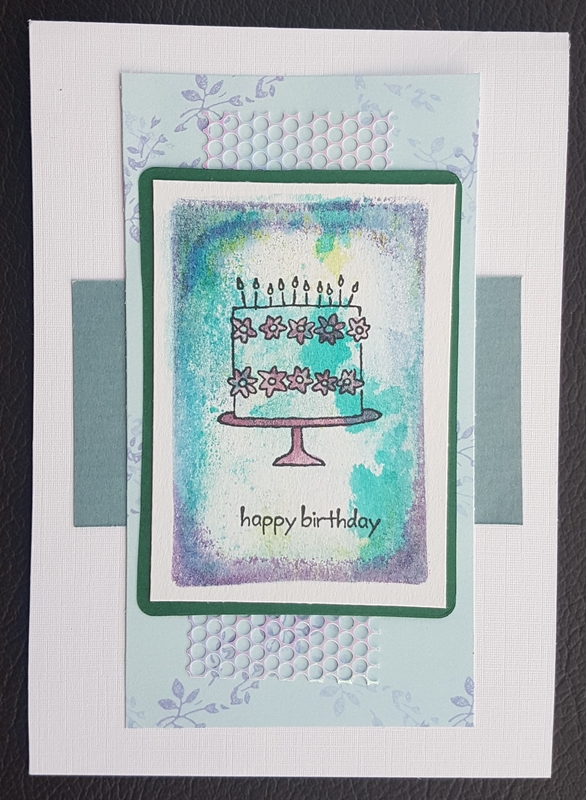 I did this using my fine waterbrush and some Stampin Write markers. I embellished both with the punchinella and one of them I also added some thread to add a little bit of extra texture. I then went over both images with Wink of Stella to add some shimmer. Love how cute these are.